Deadlifts are an amazing exercise to improve performance, pack on muscle, burn fat and build real-life functional strength. Effective deadlifting begins with your grip. This brings up a very important question: what is the best grip for deadlifts? Generally, I love answering training questions, but some great training questions there just isn’t a great answer. A classic example would be the question, “What’s the best alternative to farmer’s walks?” This question of, “What’s the best grip for deadlifts?” is one of those questions. A better question to ask is, “based on my needs and goals, what’s the best deadlift grip for me?” Every single deadlift grip option has advantages and disadvantages. Once you fully understand the pros and cons of each grip, you can make the best decision for you and your deadlifts. 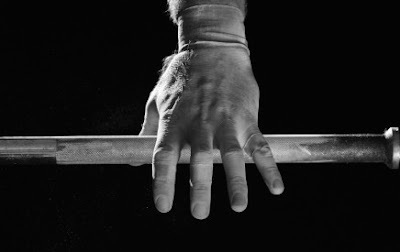 Description: Gripping the bar with both palms facing backwards. Pros: Symmetrical, balanced load on shoulder girdle and upper back, no awkward rotational stress, minimal risk of a biceps tear, great for building grip strength. Cons: As you get stronger, your grip will be your limiter. As you hit your grip limit, you will feel the bar start to roll out of your hands. This will prevent you from effectively working your posterior chain (low back, glutes and hamstrings) as your grip will give out long before these muscles do. Also, as Mark Rippetoe points out in his book “Starting Strength”, when your body senses that your grip is giving out, it will naturally shut down other muscles to prevent injury. My 2 cents: I love this grip for beginners and encourage everyone new to straight-bar deadlifting to start with this grip. This will keep things balanced and build your grip strength. Also for the beginner, the fact that your grip strength is your limiter is actually a good thing. It is better for you to miss a rep because your grip gave out instead of because your low back gave out. Description: Gripping the bar with one palm facing backwards and one facing forwards. 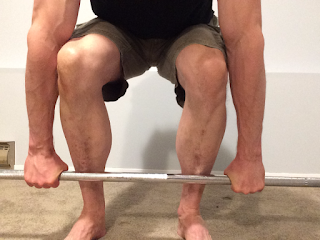 Pros: This is the strongest way to grip a straight bar as each hand pushes the bar into the other hand. This is the preferred grip of most competitive Powerlifters. When you first try this grip, you will be amazed at how much “lighter” deadlifts feel when you grip is so strong and tight. Cons: This grip is awkward and asymmetrical. It can often feel uneven in your shoulders and spine. 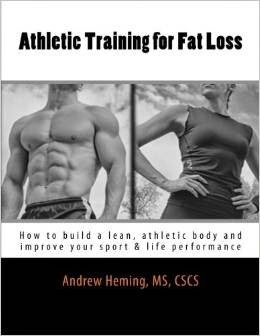 Long-term use can lead to muscular imbalances. You increase your risk of a biceps tear and extra shoulder stress on the arm that is supinated (palm facing forward). Notes & Tips: the risk of biceps tendon tears can be minimized by not using steroids (which develop your muscles faster than your tendons) and by keeping your elbows locked as you pull. There was also some research published years ago that found the risk of tearing your biceps deceased when you supinated your non-dominant hand. Some people find they are able to switch back and forth between their grips (i.e. change which hand has the palm facing forward). If you can switch back and forth, it will prevent the imbalances. Personally, I find I always tweak my lower back when I supinate my left hand. If you choose to use this grip, try to save it for your big sets by doing as many of your preceding warm-up/ramp-up sets as possible with a double-overhand grip. Description: This option has both palms facing backwards like option 1, but uses the assistance of lifting straps. Straps are used for the deadlift event in Strongman competitions. Pros: Straps secure your grip so you can really hammer your posterior chain muscles. You get to maintain the double-overhand grip so you avoid the cons I listed above for the mixed grip. It is one of the best options if you are doing high(er) rep deadlifts (note: these are higher-risk and not for most folks). Also, if you have to train at a gym doesn’t allow chalk (i.e. one that cares more about keeping the gym looking pretty than getting its members strong), straps become a necessity once you build up some strength. 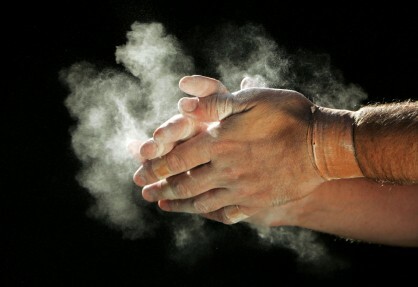 Note: if your gym does not allow chalk, you need to seriously consider finding a better gym or training at home. Cons: As you probably guessed, the con with this grip option is that you don’t build or strengthen your grip. Also, over time, you become dependent on the straps. 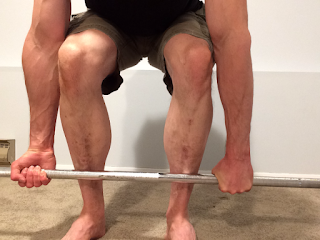 Another disadvantage is that you lose that pure connection with the barbell and the total body activation of stabilizers you get when you grip something really hard. There is also a safety concern here. With your grip secured with the straps, your grip is not the limiter (i.e. the weakest link the chain). Now, your back is the weakest link. If you choose straps, be careful to stop before your low back starts to round. Tips: if you choose this grip option, try to limit your use of straps to just your top-end/heavy sets. Do as many of your warm-up/ramp up sets as possible without the straps. Also, if you choose this method, consider adding some extra grip work or farmer’s walks to your training. Description: Using a trap bar that allows you to have a neutral/parallel grip with your palms facing. Pros: This is a super-strong grip as each hand pushes the bar into the other hand. It also places your hands and shoulders in a symmetrical, neutral position. There is minimal risk of a biceps tear. Overall, I really like trap bar deadlifts for athletes as they are simpler and safer on the low back than regular deadlifts. Cons: You have to have a trap bar. Trap bar deadlifts are a different lift. They are a hybrid between deadlift and squat. Also you shift more of your training focus away from your posterior chain and on to your quads. This is not necessarily a con – it depends on your goals and the rest of your program. Description: This grip is from the world of Olympic-style Weightlifting. 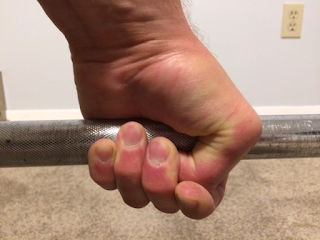 With a hook grip, you place your thumb on the bar first and then wrap your index and middle finger over your thumb. This turns your hand into somewhat of a lifting strap. Pros: This grip gives you all the advantages of a double-overhand grip (plus you can hold way more weight) without the cons of the mixed grip. Also, you are not dependent on having trap bar or lifting straps. Some Powerlifters now use this grip for competition. Cons: This grip hurts when you first start. If you have smaller hands and/or shorter fingers, it can be difficult to wrap your fingers around your thumb. Because your hand is more open, you may have trouble getting the same level of whole-body tension and stiffness you get with a strong mixed grip. Tips: If you have never tried this grip, you will hate it at first. 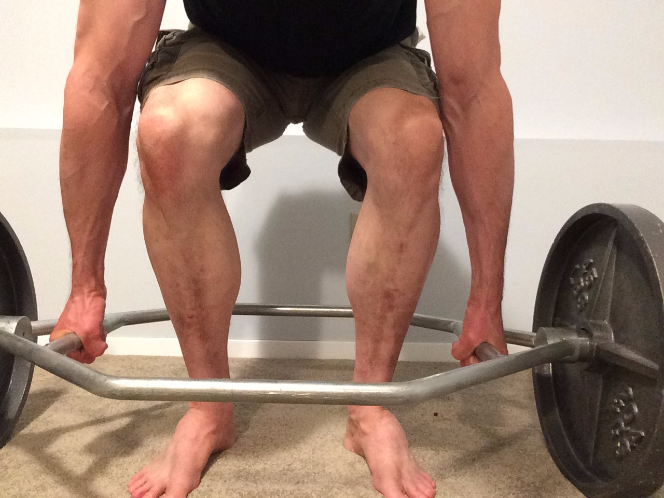 I remember the first time I deadlifted over 400lbs with a hook grip – it felt like the bar was ripping my thumbs off! However, if you stick with it, it will get better. I’ve been using hook grip for the past few months and it doesn’t hurt anymore. I'm getting used to the grip, getting stronger with it and my back feels much better than when I use the mixed grip. Also, you will feel more pressure on your pinky-finger calluses. 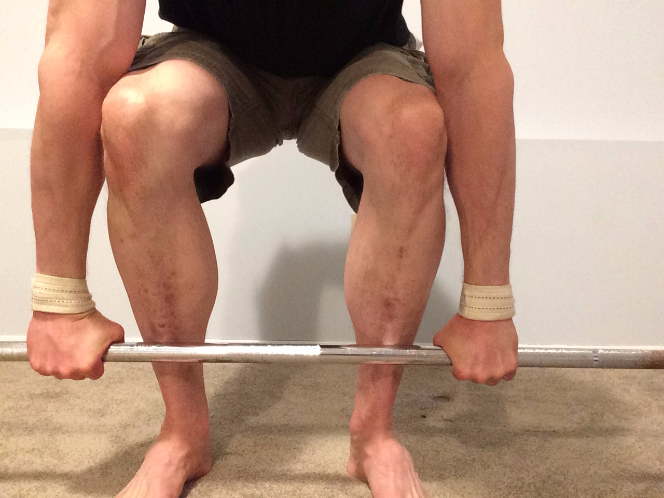 There is not perfect grip for the deadlift. Each option has benefits and disadvantages. However, now you have the inside scoop to make the best decision for you!